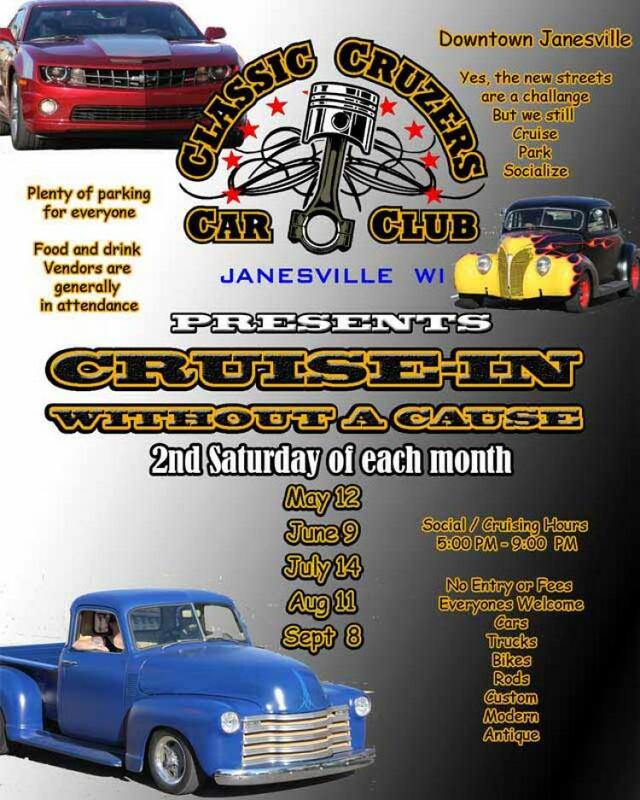 Downtown Janesville Saturday night is when we gather to cruise, park, show, socialize and in general have a great time. We will be utilizing a new parking location on the corners of Parker Place and Milwaukee streets because our old location will be the home of a new hotel in downtown Janesville beginning construction sometime this summer. Come on down, check out the cars, the people and the good times.